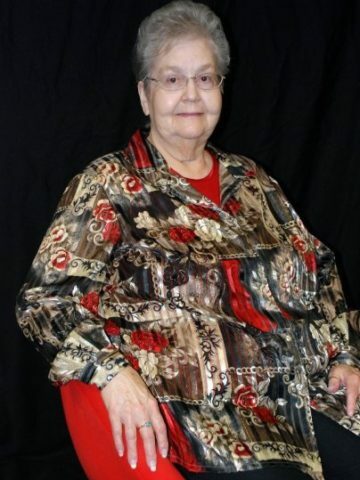 Nancy L. Hogue – age 78, of Nashville, passed away April 15, 2019. Preceded in death by her parents, Roxie Raulerson Gunter and Elzie Needom Gunter; husband, Joseph R. Hogue, Sr.; sisters, Thelma, Leila and Marian; brothers, Wilbur and Emanuel. Survived by her children, Kathy Cribbs (Keith), Joseph R. Hogue, Jr. (Sean Peterson) and Pastor Christopher B. Hogue (Jessica); grandchildren, Sarah Cribbs Beard (Keith), James M. Cribbs, Cory Hunt, Caden Hogue (Rachael), Anna K. Cribbs and Caitlyn D. Hogue; beloved pets, Chico, Cinnamon and Gizmo; several nieces, nephews, and extended family. In lieu of flowers donations may be made to the American Heart Association. To the Cribbs and Hogue family, I am so sorry for your loss. I loved Grandma very much and am better for having known her. My thoughts and prayers are with you. Miss Nancy was a sweet lady. What joy she now knows! Praying for all of you. Mom just went ahead of us to our Saviors arms. Hallelujah, Glory to God! I miss you both terribly. May God continue to bless you.